Many of you already know this already. If you’ve read A Basic Renovation you might my remember my homage to the Brady Orange Kitchen. or seen my semi-regular tweets, you’ve probably worked out that I am a fan of the Brady Bunch. When I was attending university, my buddy Xtina and I used to race home from class to watch the Bradys. We’d have a little contest to see who could Name That Episode just by the opening and incidental music where the credits rolled. Xtina and I were chock full of useless Brady Trivia. We’d quote lines and apply them to life, or do the dialogue with the characters as the show played. We came up with a sweet drinking game to play, which I probably would have played had I been a drinker. We liked to see who could do a better Bobby Brady Wowwwww or recite Cindy’s ‘Seven silver swans swam silently seaward’ from the episode titled A Fistful of Reasons, where Peter protects his little sister from the bully Buddy Hinton. 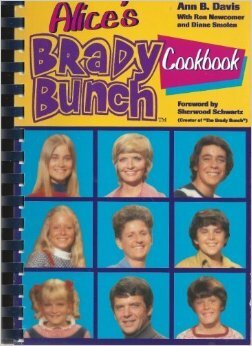 Channel 11 in Australia runs the Brady Bunch weekdays at 5:30, which means I watch it nearly every evening whilst I prepare dinner. Some of you participate in supporting my Brady appreciation and join in on the #BradyLove hashtag. You know who you are. I am no going to name names. 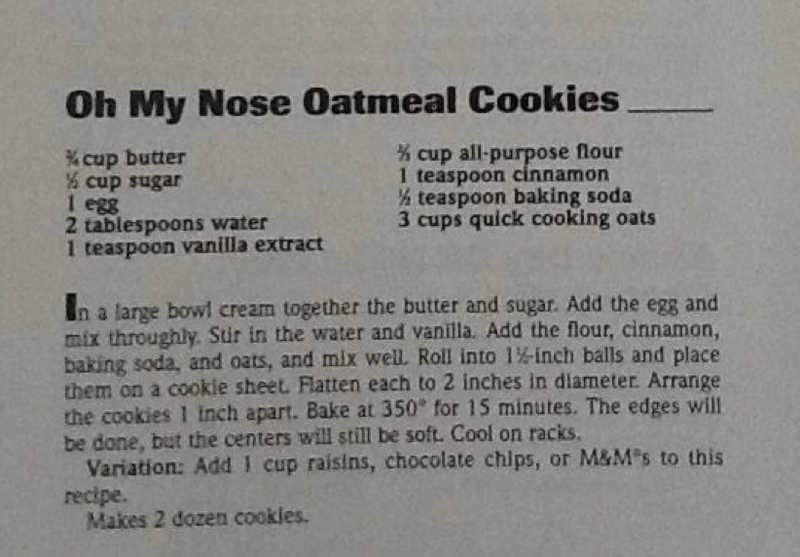 Some of you have a thing for Mike Brady and his chest hair, and go that one step further to offer me cookie recipes from a Brady Bunch cookbook penned by Ann B Davis, who played Alice Nelson (did you know that was Alice’s’ last name?). You have a certain Librarian PhD candidate to thank for this bit o’ Brady Love. This Very Brady book belongs to Ms Vassiliki Veros. This is her second submission to the 44 days of Holiday Coffee and Cookies and I thank her for her ‘relates to A Basic Renovation‘ submission! I’d add raisins to this recipe to make them extra-nominom and serve them with an East African coffee.